A memorable 2017 season unveiled by the Mercer Island Islanders boys lacrosse team came to an end just one win shy of a state championship. The Bellevue Wolverines defeated the Mercer Island Islanders 12-4 in the Washington High School Boys Lacrosse 3A state title game on May 27 at Starfire Sports Complex in Tukwila. The Islanders started off the game strong against the Wolverines. Mercer Island sophomore Donnie Howard scored a goal in the first quarter and Stew Vassau recorded a goal with 11:02 left in the second period, extending Mercer Island’s lead to 2-0. Unfouartely for the Islanders, the Wolverines outscored them 6-0 in the final 8:51 of the second quarter, taking a commanding 6-2 lead. Bellevue outscored Mercer Island 6-2 in the final 24 minutes of play to put the game away. Mercer Island sophomore Glen Mahoney scored two goals in the second half in the loss. Bellevue senior Justin Angelel said he knew Mercer Island would be a formidable opponent in the title game. 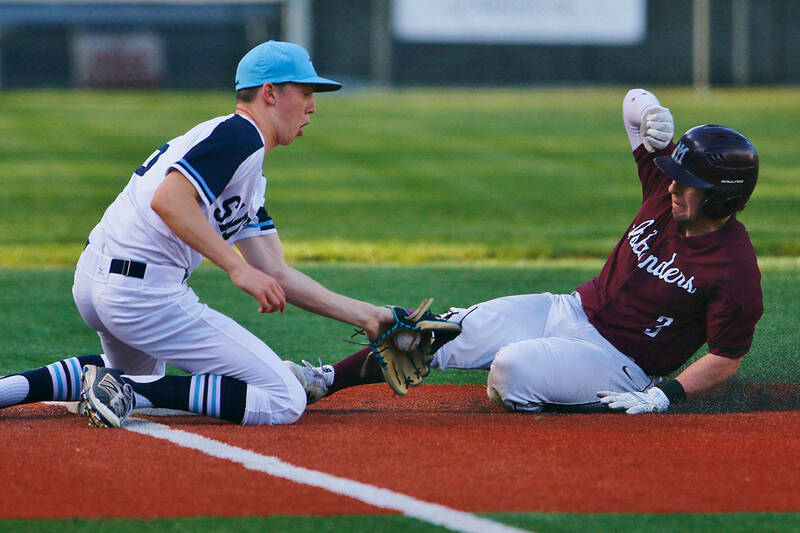 Mercer Island defeated Bainbridge Island 16-7 in the 3A semifinals on May 24 to clinch a berth in the title game. The Islanders finished the 2017 season with an overall record of 14-8.